Happy New Year everyone! Are you ready for 2015? My holidays were very nice, on the quiet side, but lots of time spent with friends and family, and of course my little RoyRoy! With the new year comes the usual self-evaluation, resolutions and hopes of doing things just a little bit better in the year to come. I have a whole slew of “to-do’s” that I won’t bore you with, but did want to share my plans for a fun weekend I have coming up. In order to really start the new year off with a bang, I’ve dedicated this coming weekend to rejuvenating my body and soul. 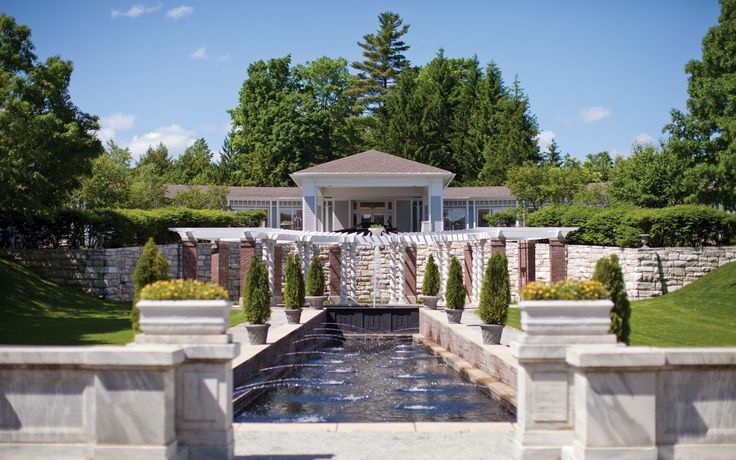 On Saturday a friend and I are splurging on a full day spa experience with all the bells and whistles and on Sunday I am participating in a Working Women’s Retreat at the Miramar Retreat Center in Kingston, MA, a Catholic center that hosts many different types of retreats for men and women of all ages. I’m looking forward to spending some time on me, which isn’t something I’m particularly good at. I spend a lot of time “with” me, but seem to forget to work “on” me – if that makes any sense. But let’s get back to Spa Day 2015! 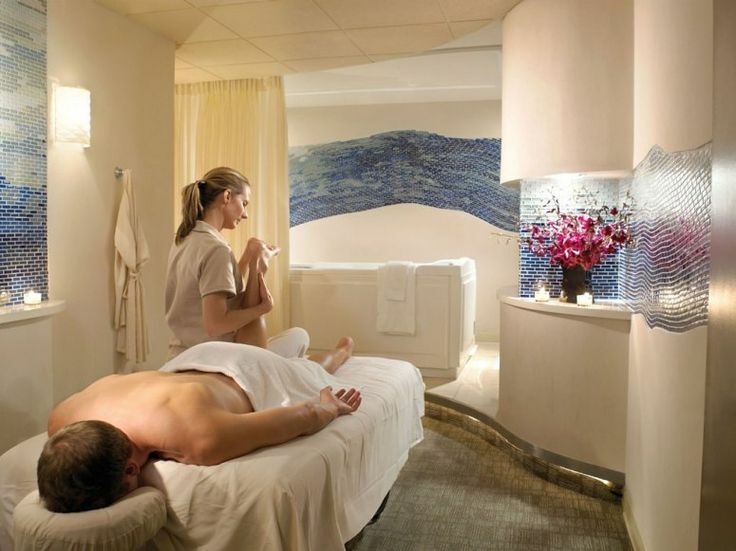 We spent some time researching different spa experiences in our area and I figured I’d post our top four contenders this week, finishing up on Friday with our final selection. I’ll update the post next week with a review of the experience. 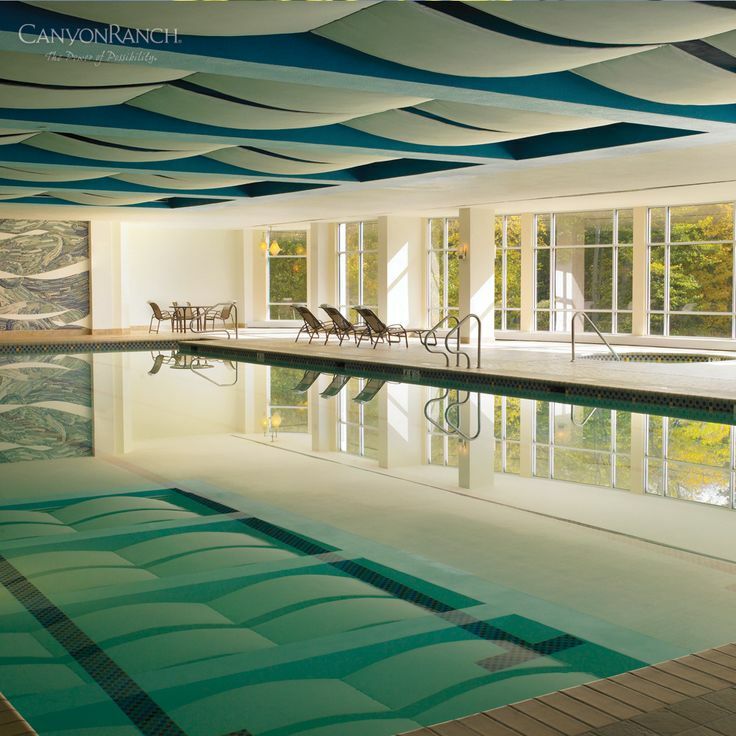 When looking for a great spa experience, a natural “go to” is Canyon Ranch in the Berkshires. I did a three-day stay in the middle of February many years ago and I still look back wistfully at the experience – it was fabulous and so worth every penny! 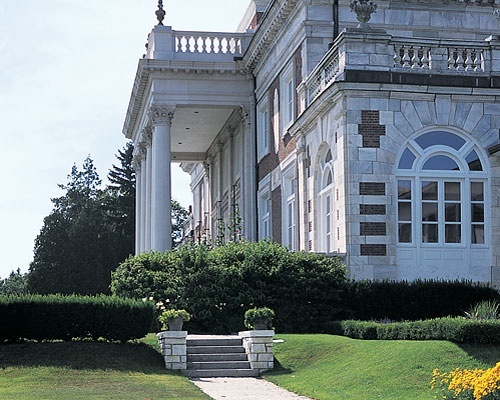 The setting for the spa is the Bellefontaine mansion – a treat for architecture enthusiasts. Built in 1897, Bellefontaine had been a private home, seminary and then a boarding school, but when the Zuckermans, owner’s of Canyon Ranch, saw it, it was empty and gutted by fire. 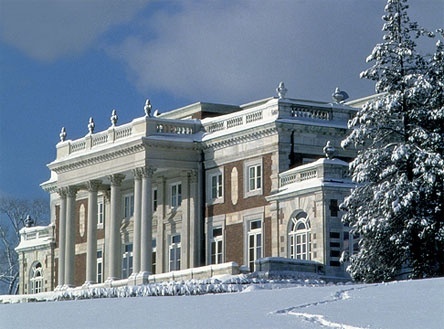 Applying their philosophy of creating harmony with the surroundings, the Zuckermans decided to restore the mansion while adding New-England-style buildings in keeping with the local area, a classic vacation destination that was once home to Nathaniel Hawthorne, Herman Melville, Edith Wharton and Norman Rockwell. 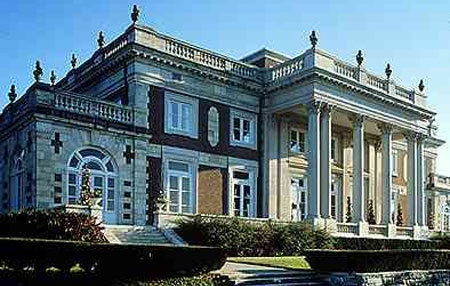 Canyon Ranch’s architects worked with the local historic preservation board to be sure that their restoration of the Mansion’s exterior and gardens was fully authentic, using materials and techniques consistent with the turn of the last century. In addition, they meticulously restored the beautiful Library, the only room that had not been destroyed by fire, to its original dignity. 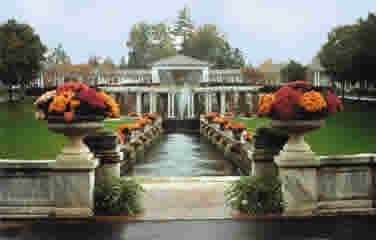 The grounds are beautiful year round. I went in the winter after a nasty ice storm had hit the area. I drove through it to get out there (I wasn’t missing my vacation for any old ice storm!!) and even though there was snow on the ground, the location is gorgeous. 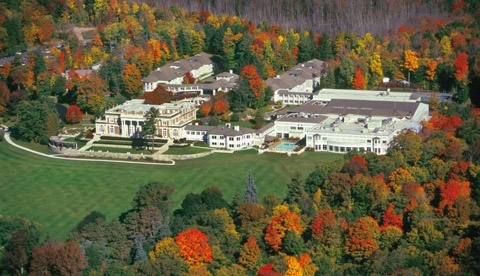 The “campus” is set up so that one need never actually go outside (a bonus in my book) though there are many great outdoor things to do such as snow shoeing, cross country skiing, hiking, etc. 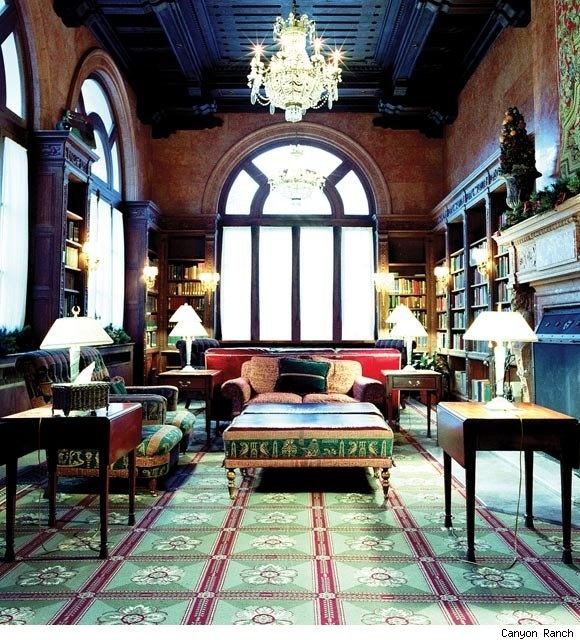 The library is just gorgeous and was spared by the fire that once ravaged the property. The pool is lovely as were the workout rooms and facilities. The separate men’s and women’s locker rooms held steam rooms, saunas, cold plunge baths (no thanks! ), hot tubs, and the usual showers, etc. I look classes in breathing, free body movement, and a dance class as I recall. The staff was lovely and very supportive of someone who is definitely not a gym rat or coordinated in any way. They were all ages, shapes and sizes themselves, as a matter of fact. There were also cooking classes and demonstrations in a gorgeous kitchen. I went mid-week, mid-winter, so it was mostly women, or older husbands/wives/couples. What I had wanted at the time (and still do) was an experience that was all paid for up front, without having to worry about prices or costs as you go along allowing you to simply enjoy the experience. It made such a difference. As a matter of fact, I definitely believe that any vacation of any kind should be paid for with cash saved ahead of time versus putting it all on plastic and paying afterwards. It makes the whole experience so much better, less stressful, and such a treat! 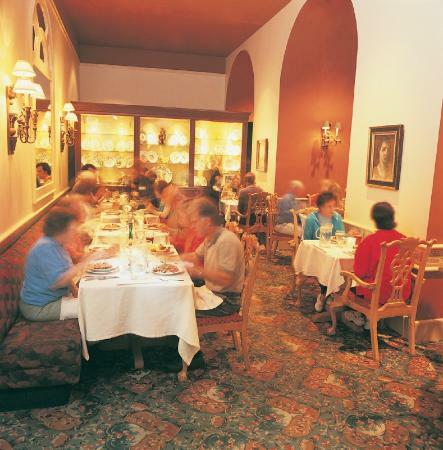 The meals were done in a general dining room with table service where you could dine alone if preferred or ask to be seated with a group. I found either to be very comfortable and everyone there was very open and friendly. The food was “healthy gourmet” and was very good. Since I’m not much of a foodie I’m not the best judge, but it was beautifully presented, balanced dining with lots of variation. They don’t serve alcohol (though you can BYOB in your room if you want) and you had to request things like salt. I will admit that by the end of my three days, I was jonesing for a ham sandwich (salt!). I did ask for salt for the chicken burger I was eating and they happily brought it. The portions were controlled, but it was okay to ask for seconds. It was basically about understanding what proper portions are and not overdoing things. 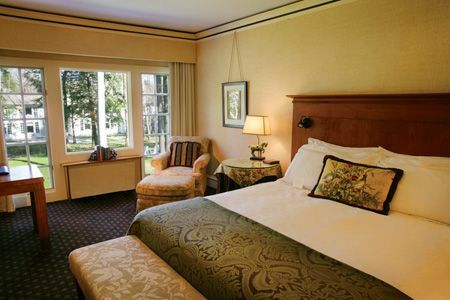 The rooms are lovely, but the point of being there isn’t to hang out in the room. As I recall, they don’t offer room service so that guests all eat in the dining room. Since I was there in the winter, outdoor dining wasn’t happening – but how lovely does this look? In the end, we decided against Canyon Ranch simply because their packages and specials all start at 2-night stays, which isn’t what we were looking for. We were considering 1 night stays due to schedules, but nothing longer. But, I do plan to go back at some point, that’s for sure! As I said above, for the rest of the week I’ll be profiling the other three spas we considered (not in any particular order) and finish of on Friday with our final choice! It’s a cold, cold week here in New England – so the siren song of hot tubs and massages are keeping me going!